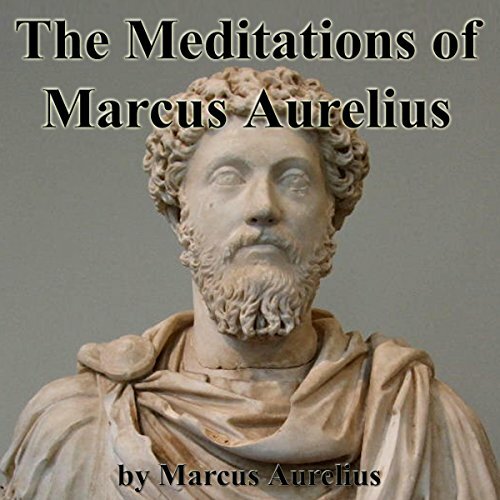 Marcus Aurelius was Roman Emperor from 161 C.E. to his death in 180 C.E. He was destined to be a leader, having beeen born into a prominent family - one related by blood and marriage to rulers and bankers. During his era, Romans who inherited power and vast fortunes were expected to set an example. Marcus shouldered his responsibilities with a clear sense of honor. He was history's first ombudsman, and if his role as a legislator or conqueror was not great, he did set high standards for emulation. Written in the form of confessions, his meditations provide a window into his insights on duty, virtue, and humility. He was the last of the "Five Good Emperors", and is also considered one of the most important stoic philosophers. The Meditations, written on campaign between 170 and 180 C.E., is still revered as a literary monument to a government of service and duty, and it has been praised for its "exquisite accent and its infinite tenderness". In fact, John Stuart Mill, in his Utility of Religion, compared The Meditations to the "Sermon on the Mount".